If you pay attention to the MCPS (Monmouth County Park Service) you will notice random days that sponsor Kayaking on the Navesink River. 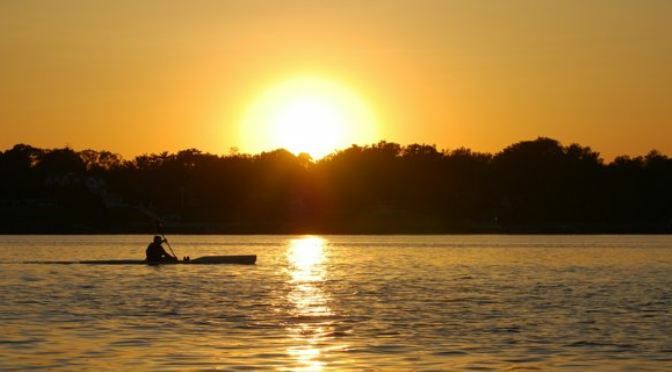 Join a Park System Naturalist for a leisurely paddle on the beautiful Navesink River. Novice paddlers welcome. All equipment is provided – single and tandem kayaks are available. Wear appropriate clothing that can get wet. Open to ages 12 and up, under 18 must be accompanied by an adult. The cost is $20 per person. (cash or check) First come, first served. Will be cancelled in event of inclement weather.